The Sakai clan, of Obama domain, are firm supporters of the Shogunate. Sakai Tadakatsu was one of the roju, or elders, under Tokugawa Ieyasu, the first Shogun. 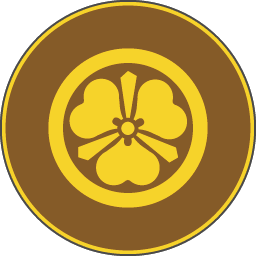 The Sakai clan also claim to be related to the Minamoto clan, making them well connected. Because of their long experience in government and administration, the Sakai are experts at managing populations. They receive a taxation bonus, are highly efficient at repression, and pay less upkeep for land units. Their garrison troops are also high quality.